When it comes to something as important as life insurance, avoid being fooled and choose the plan you need. Is incorrect information preventing you from thinking rationally about life insurance? Today, many life insurance companies offer attractive and useful programs that serve a broad range of purposes. However, many people hold on to antiquated notions of insurance that are simply untrue. Misinformation is the cause of many problems in the world, including life insurance. Here are three life insurance myths that hold no truth to them and will hopefully get you to think rationally and logically about purchasing life insurance. Myth 1: If my company provides life insurance, I don’t need my own. Busted. Many companies provide their employees with life insurance which leaves many people thinking they don’t need their own policy. Sometimes, however, these plans are basic plans with a low sum assured. Low sum policies will fail even to cover the cost of hospitalization, let alone other important costs like mortgage, credit card debt, student loans, future college tuition for your children, etc. Myth 2: The breadwinner of the family is the only one that needs insurance. Busted: If the stay-at-home parent should pass before their time, the breadwinner may have to hire someone to take care of the kids while they go off to work. Hiring a nanny costs money, and unless you also just got a hefty promotion, you may need life insurance on both spouses. Myth 3: Life insurance is too expensive, and I can’t afford it. 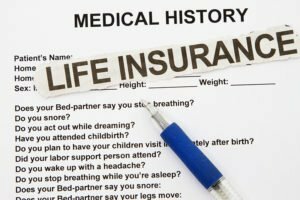 Busted (depending, of course, on your situation): A recent study found that 80 percent of Americans overestimated the cost of life insurance. Some people believe that to secure a $250,000 policy plan would cost upwards of $1,000. When conditions are right, it can be as low as $150!